GenreCon finished yesterday. For those of you who aren’t Brisbane-based writers, GenreCon is *the* place to be if you’re a writer in South East Queensland. It’s a weekend choc-full of inspiration and lessons to learn; speakers and publishers, authors and agents and illustrators… I’m guessing. I’ve never been. Sad; I know. Unfortunately, the day job has always intervened; this year, again, no exception. I accept it; the fact that I am too busy in Term Four to attend doesn’t worry me much any more. Getting to GenreCon is about as likely as doing #NaNoWriMo… I won’t say ‘never’ but it’s pretty unlikely, truth be told. So whenever I’ve seen news about GenreCon, I’ve skimmed over it. Then tragedy hit. A couple of random unrelated items I’d seen, clicked. One of my all-time fave authors tweeted about a newspaper headline I had just read. Then she posted a photo of her cuddling a koala. What the? She’s here in Australia? Next thing I discover, she’s a keynote speaker at GenreCon. As in, the convention that is literally just down the road (okay, lots of kilometres, but it’s still the same road) from me – and I’m not there!!! Sigh. Delilah S. Dawson is the reason I’m still writing. I wish I could meet her; tell her in person how much of an effect one of her blogposts had on me. Alas. Not to be. Not any time soon, anyway. Which is exactly the reason why Twitter is my absolute favourite social network. No, I couldn’t be at GenreCon in person. Yes, I missed out on an incredible opportunity… but that’s not to say I couldn’t attend; because I follow tweeps who were there. And that’s almost the same kind of thing. 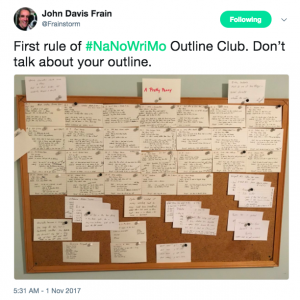 I was able to follow what she said in her keynotes – because writers I follow tweeted about it. Make the scene a liver, not an appendix. Your editor can cut out an appendix, but not a liver. Everyone knows writers need a liver. @DelilahSDawson #GCoz keynote. And if that’s not a good enough reason to love twitter, I don’t know what is. 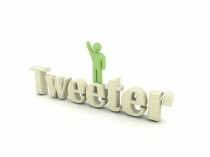 I caught a tweet this afternoon, leading to a flash fiction contest on Janet Reid’s blog. 100 words, and must include the words: agent, paradise, armada, amy and toast. And these words may be included in other words eg. ‘amy’ can become ‘infamy’. The patient’s insane shrieks grated on my nerves. Our visits here were truly awful. Pa’s room? His ‘outfit’? His ‘aroma’?! My senses reeled every time. In hospital after his operation, he’d been fine. Sitting up, a drip in his arm. A day later, and he’d had a massive stroke. He’d recovered. His memory hadn’t. But now? This. It wouldn’t take much. Just a gentle push, during our evening walk across the bridge. If not – have a lovely day, dear reader!!! So today is the last day of May. Which means that #blogJune starts tomorrow! Hooray! I love challenges. I get all determined and use my serious face a lot. Maybe I’m competitive by nature or something? I’m not really sure. Anyway, #blogJune starts tomorrow. That’s where me and heaps of other people will be blogging every day and tweeting our posts with the hashtag #blogJune. Anyone can join in, so this is an invitation to anyone who stumbles across this blogpost, to join us. You just need a blog. And a Twitter account. And the determination to press ‘publish’ on a blogpost every single day. So join us! Me? I’m excited today because not only is my blog working again after significant time spent updating it, but for some happy reason, the WordPress iPhone app also seems to be able to link to it… meaning that, right at this very moment in time, in lying on my bed and writing this post on my phone. Yippee! Not sure how the linking or image functions will work yet, but I’m liking this so far!!! Anyway, we are at 18 hours and counting, people. It’s almost #blogJune time. Will you be joining us? Are you in? So some of the major problems with this blog were fixed yesterday. Problems like ‘pages aren’t showing’. ‘Links aren’t working’. ‘Comments aren’t appearing’. But as far as I can tell, all of these have now been fixed. Yippee! And hooray! And “fire the cupcake cannons!” (all credit for this quote to Delilah S.Dawson, whose blogposts I’m rapidly falling in love with.) Now it’s the minor issues left to attend to; widgets not appearing so they can’t be edited, categories and tags needing major editing, permalink setting tweaking without the entire site breaking, you know. That sort of thing. But this site of mine is now publishing the stuff I write, and it’s appearing, and now people can comment on this stuff too. Which is awesome! And just in time. #BlogJune starts the day after tomorrow! Ahhh. #BlogJune. My favourite time of the year for blogging. Because I actually make a concerted effort to blog daily, and to read the daily blogposts of friends (mainly Library friends) both near and far. We comment. We re-connect. Make new friends. You know how it goes. I love it. I feel like I’m keeping in touch with all things ‘Library’ – which, now I’ve graduated but am not yet working in a Library, is happy-making for me. Posts by peeps doing #blogJune will not all be ‘Library’ ones. In fact, not all bloggers doing #blogJune will be peeps in the LIS space. That’s where it started, back when it was #blogeverydayofJune, but it’s grown into more than that. So, dear reader, if you have your own blog and want to challenge yourself to blog daily, then join us! Just blog daily – whatever topic you like – and tweet your post with the tag #blogJune. We’d love to have you aboard! Yesterday I met more of my PLN – hooray!!! I had met @fionawb a couple of weeks ago, and she had graciously invited me to her birthday party – so I cajoled Hubby into meeting new people (he’s spent the last four weeks in a CPA-exam induced cocoon, only emerging on Thursday, and to be honest, prefers the hermit life to the social butterfly one), dragged the kids with us, and drove down to Brisbane. I must admit, it’s rather strange meeting people in real life that you’ve already gotten to know a little via social media. Even Fi surprised me with her “Shall I introduce people by names? Or with their twitter handles?” question – but I have a feeling that that question is one that gets asked more and more, now that social media is becoming so prevalent throughout all cultures, all societies, even all age groups! But it was *so* good to just fall quite easily into conversation with @rachwray (and of course, have some cuddles with #babywray!) and @jzgarnett – it feels a little like you’re ‘starting’ a friendship kind of half-way in! But it’s great. The ‘ice’ is already broken, so to speak! So yes, yesterday was a good day. Apart from my three cherubs terrorising #twoboycats and wanting to eat all of Fi’s chocolates, I was immensely happy to have connected IRL with people who inspire me in the twitterverse. Thanks for a great day, my friends! And thanks SO much Fi for inviting me! So the weekend before last, Hubby and I spent Saturday together. No kids. (Yes, this is actually rare enough that it rates a mention. Sad, really…!) and we visited IKEA. We’ve been married almost 18 years, and only now am I learning that his dislike of ‘clutter’ means that he dislikes bookshelves. He prefers furniture with doors – cupboards, wardrobes, buffets, etc etc). Rather a revelation for a wife who loves books (yes, @jobeaz, the physical variety! I haven’t really warmed to the whole idea of eBooks yet!) and who has lots and lots… and lots of them. So that was yesterday. On the work front, I discovered last night that a tweet I sent got retweeted by three people. One of these accounts has over 19,000 followers! And a reply tweet I got form another of these people (in South Africa, by the way) said that she loved my link; and that her friends were currently sharing it around on Facebook. So how COOL is social media!!! Survivor: Outwit. Outplay. Outlast. It’s exactly these three ideas that you probably want for your own business, right? To stay ahead of your competitors; to remain viable in your marketplace? Me too! So – what can the Reality TV show Survivor, the creator of this phrase “Outwit. Outplay. Outlast.” teach us about using twitter for our businesses? Read on! From that very first season, the importance of ‘alliances’ was obvious. Those in an alliance, got to the final tribal council. And the strongest member of the alliance, won. It was as simple as that. On twitter, we need to do the same. Form alliances. Follow others. Engage with them (retweet their good stuff; reply; converse) and respond genuinely when your followers retweet, reply to, or engage with, you. And the idea here is to be genuine. People don’t readily ‘form an alliance’ with automated tweets. Okay – I admit it – I used an auto-responder on my @BloxhamMkting account for a while back there, which automated ‘Thanks for the RT” and “Thanks for the mention” and “Thanks for the follow” – until I realised just how quickly this was turning off the exact sort of people I wanted to engage with. The genuine ones; the leaders in the fields I was seeking to be a part of; and (of course) my own followers. I also realised how much I hate automated responses filling up my own @mention stream – even worse, my DM inbox. This convinced me. Now I use auto-responders only for the tweets I send (and no, not to just send the identical content to Facebook as well!) Want strong ‘alliances’? Engaging with others is the best way to form them. On “Survivor”, it’s always easy for the audience to spot the fake. Watching the show then becomes more interesting, as we’re waiting to see when the double-crossing character finally gets ‘caught out’ in their lies and deception. Often it’s those who’ve been the most ‘honest’ who get the fartherest. Likewise on twitter. If you’re tweeting for your business, realise that there are people out there who don’t like your business (especially if you’re a big company!) and that you’re going to probably get some flack for things that you have, or haven’t, done. So be honest when people tweet that negative stuff. Acknowledge that something’s gone wrong. Use the instantaneous nature of twitter to try to rectify the problem. Your community will appreciate the honesty. Loyalty. Let’s face it – in business, that’s what we want, right? A loyal customer base. But there’s only one way to get their loyalty – be loyal to them. Be dependable. Be consistent. Be the brand that they know that they can rely on. On Survivor, those who remained consistent throughout, engendered the most respect – and that’s whether they were consistently ‘nice’ or consistently ‘evil’ (to use ‘Survivor’ terminology, here) – wholly and solely because they were consistent. The people who formed alliances with them, respected them because they were dependable. Those characters who (again, using ‘Survivor’ terminology) flip-flopped, back and forth between different choices or different strategies? They lost the respect of the other players extremely quickly. When you’re tweeting for your business, this is the last thing we want! We want the respect of our customer base, right? So be loyal. Be consistent. Be dependable. Think ahead. Know your business plan. And – sparingly, and where appropriate – share parts of that plan with your followers. Use your strategy to inspire your loyal customer base, just as those who were the leaders in their tribes shared their vision of the next strategic move with their allies. 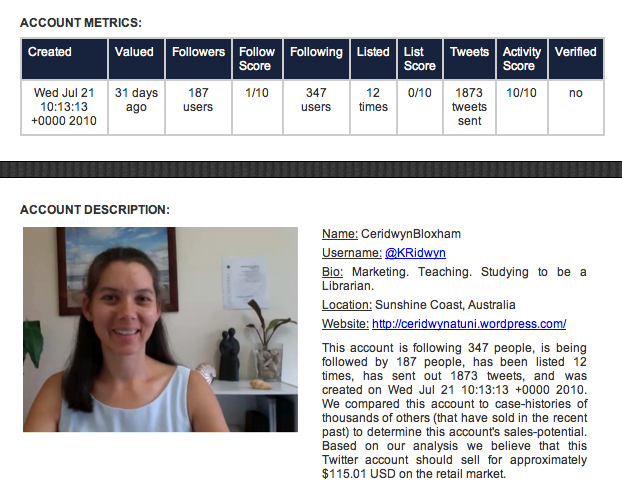 On twitter, use the functionality to reward those most loyal; and also to get your message out and extend your reach. New eBook? First mention of a new product release? Just a thought – let your loyal followers be the first to know! Whatever your strategy; devise it, and follow it! Some of those ‘Survivor’ challenges are absolutely crazy. But that’s what makes the show so entertaining. Likewise, some situations in business are going to see you doing things that you never would have expected. 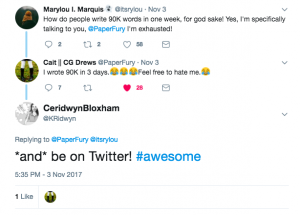 Three years ago, you never would have been reading a blog post about how to use twitter for your business – and what tips a reality TV show can give you on the topic!!! But you’ve adapted, you’ve changed, as the world has changed. Kudos to you! Just don’t stop now. The world *is* changing – faster than we can even realise it – so we need to adapt. Yes, today we need to ensure that we’re tweeting for our businesses; retweeting, replying, and genuinely engaging with others, however… who knows what may lie around the corner? We’ll need to rise to conquer these new challenges. If we don’t, we’ll end up in the business equivalent of Tribal Council, where the real world equivalent will snuff out the remnants of all of our hard work and say “The Marketplace has Spoken”. And none of us wants to be there, so we?! So – five ideas that ‘Survivor’ can teach us about tweeting for our businesses. What did you think? Did I miss any? I’d love to hear your thoughts! Well, that’s been my thinking over the past couple of hours (in between settling my little man from his night-time horrors). Sorry again that I’m not feeling up to writing a whole heap here. But I’d love to hear what you thought of my BloxhamMarketing post! From time to time, I google my name. Being probably the only ‘Ceridwyn Bloxham’ that’s alive on the face of this entire planet, I’m pretty sure that all search results on the first couple of pages are actually going to relate to me in some way. (And that’s pretty cool…!) But it hit me the other day that I’d never googled “KRidwyn” – my new(ish) twitter handle, and what I’m going by more and more recently, because it’s just easier, phonetically speaking. Here is a screenshot of the relevant section of the webpage. And yes, my value’s gone down in the last two or so days. I’d be sad if I wasn’t so bemused by it all! I’m about to celebrate my 2,000th tweet. And I’m pretty stoked about that. I love twitter. I miss my tweeps when enforced absences keep me from checking my tweetstream. I know that I can’t write as fluently, coherently or beautifully as fionawb did in her post about her use of twitter, but I can and do echo her sentiments. And I’m pretty stoked to be hitting this 2,000th milestone!